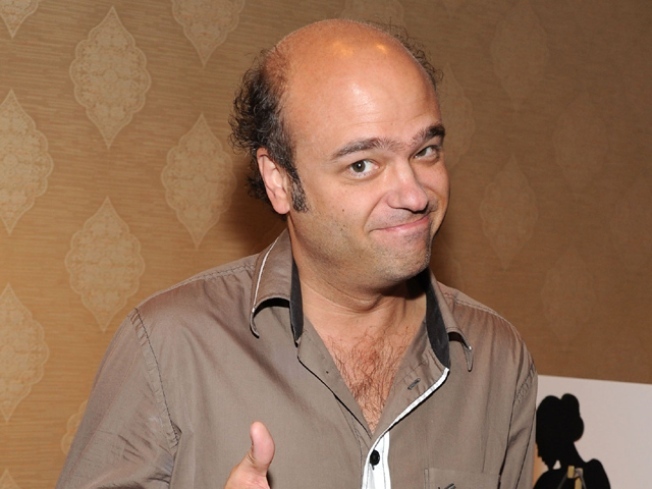 "30 Rock"'s Scott Adsit is on tap at the NY Comedy Festival's Celebrity Autobiography event tonight. FUNNY BUSINESS: In no particular order, here are some of the things we’re looking forward to at the 6th Annual New York Comedy Festival, kicking off today: “Face of post-racial America” Tracy Morgan at Carnegie Hall (Friday). “Afterbirth: Stories You Won’t Read in a Parenting Magazine” (Saturday). Host Ricky Gervais. “Writing for Late Night with Jimmy Fallon: The Writers of NBC's Late Night Discuss Their Process and Look Uncomfortable” (Saturday). And tonight, at Caroline’s, SCTV’s Andrea Martin, “30 Rock”’s Scott Adsit and many more will act out moments from fameball memoirs (Tommy Lee! Vanna White!) in “Celebrity Autobiography”. 7:30PM. PICKED CLEAN: Do you know how badass Django Reinhardt was? Two of his fingers were nearly destroyed when a fire ravaged the trailer he lived in -- which means dude almost single-handedly invented le jazz manouche with just eight fingers. For that alone, you should check out the 10th Anniversary Django Reinhardt Festival. All week long, virtuosos of hot jazz pick and strum to celebrate the life and legacy of the Belgian gypsy guitar legend at Birdland. Speaking of badass, tonight David Langlois – a be-dreaded French guy who plays a washboard involving a teakettle, among other things – guests. 7PM. STUFFED: Ex-Times dining critic William Grimes comes to the Tenement Museum to talk about his book “Appetite City: A Culinary History of New York”, which chronicles the Gotham eat scene (and New Yorkers’ infatuation with restaurant culture) since the dawn of time. Or at least the last century. Get ready to feel nostalgic about all those oyster bars you missed. (R.S.V.P. to events@tenement.org). 6:30PM.